Additional 50% Off All Red Tag Beauty Items! You are here: Home / Great Deals / Additional 50% Off All Red Tag Beauty Items! There are lots of great deals at Sally Beauty Supply! All clearance items are an additional 50% off! Plus you can get a FREE China Glaze with the purchase of one! The 4 items pictured above totaled $7.37 in my cart! 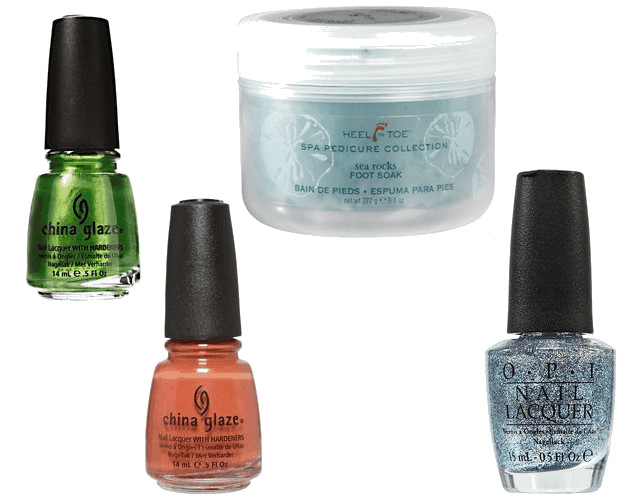 The China Glaze is on sale for $2.99 – with the additional 50% off it’s only $1.49! PLUS the 2nd China Glaze was FREE! The Heal to Toe Foot Soak final price is $1.14! The OPI Nail lacquer final sale price is $4.74! There are great deals to be had in this Additional 50% Off All Red Tag Beauty Items sale! Grab these and other beauty deals every day at Sally Beauty Supply!